About Air Compressors – More than 14 years on line helping folks with their air compressor problems! 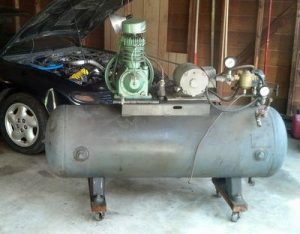 Welcome to the rebuilt about-air-compressors.com website. Here there are over 900 pages chock full of compressor information all fully updated after 14 years on line. This site has been, and is, here for the long term, providing information on pretty much every air compressor part, what it does and where it is located on an air compressor, along with scads of pages about installing, plumbing, using and troubleshooting air compressors of many makes and models. To get around and find your page, please see the navigation column to the left, or follow any of the links below. “THIS WEBSITE ROCKS!” according to visitor David J.R. This SITEMAP PAGE. has links to all the existing and consolidated pages on about-air-compressors.com. This COMPRESSOR TROUBLESHOOTING. page is about common compressor problems and solutions that affect many brands of air compressors. This COMPRESSOR BRAND pages has information sorted by by compressor brand and model number along with some complimentary PDF manuals for a wide range of compressor brands. Doug s.d.ca., Buster and Carl and Roger and all contributors that help others with their air compressors going on 15 years now! Jessie says to Doug… “Thanks very much for the tip. Greatly appreciated” when looking for parts for a Sanborn compressor. Lorra says, “Doug, I appreciate and was impressed by your reaching out; it’s that attitude of wanting to help others that makes this a great site : ) Thank you!” For those that haven’t noticed, Doug in S.D.Ca is a frequent, long-time and knowledgeable contributor to this site. Please read this site Disclaimer, before you use any references or information found on this site. Use of the information on this website means that you have read and accept the disclaimer. I would be pleased if you used the RSS feed button to add a feed to your browser from this site. This will notify you of page updates. Once you have added the feed to the reader on your browser adjust its settings – if necessary – to include the comments from about-air-compressors.com too. This will update you as new comments, responses and solutions arrive on my site. And thank you to all the questioners, the contributors and those just visiting for the last 14 years. Please continue to ask questions and to find answers to your compressor questions here on about-air-compressors.com. We all benefit by both the questions and your welcome advice. Bill is the owner, publisher and primary content provider for about-air-compressors.com. He brings to this site his experience in pneumatic systems, air circuits and components, gathered through years of field service calls, air systems design and as a trainer for new hires to the fluid power industry.